White: I'm Overjoyed at Winning my First Title, Now I Want More, Many More! 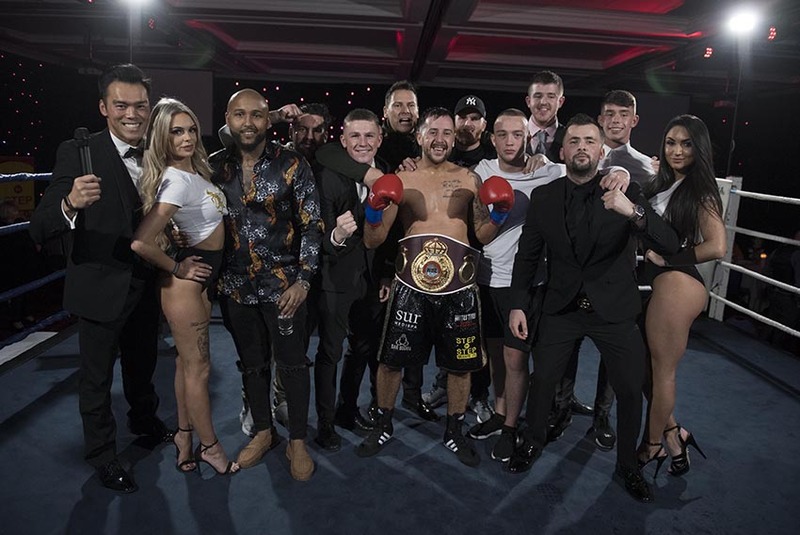 Glasgow: Wednesday 28th November 2018 - On Saturday evening, Glasgow's Alexander White achieved his dream of winning a Championship, the World Boxing League (WBL) International Super Middleweight, with a sensational first round stoppage win over Latvian Dmitrijis Ovsjannikovs. Right from the opening bell White went on the attack, letting rip with big shots to the Latvian's body and head, Ovsjannikovs is as savvy as they come, initially covering up before countering with equally big shots of his own. As soon as the fight was restarted White went in for the kill, peppering the Latvian's body with big lefts and rights. The tough Latvian managed to thwart the Glaswegian's efforts well for about twenty seconds or so, but then White landed a peach of a shot to send Ovsjannikovs to the canvas for a second time. "It was great to be back in the ring, even if it was just for a minute or so. "In a way I'm disappointed it was such a short fight, especially after a full eight week camp, but let's face it you don't get paid extra if it goes the distance. "I'm overjoyed at winning my first title fight, now I want more, many more." "Right now I'm just looking forward to Christmas and then in the New Year will sit down with my manager (Thomas Melville) and team to discuss future plans. "So I'm going to stay in shape over the holidays, just in case an opportunity arises, as believe me I have got a lot more to offer - watch this space."